I am not the cook in the family but one thing I do love to make is Manicotti. 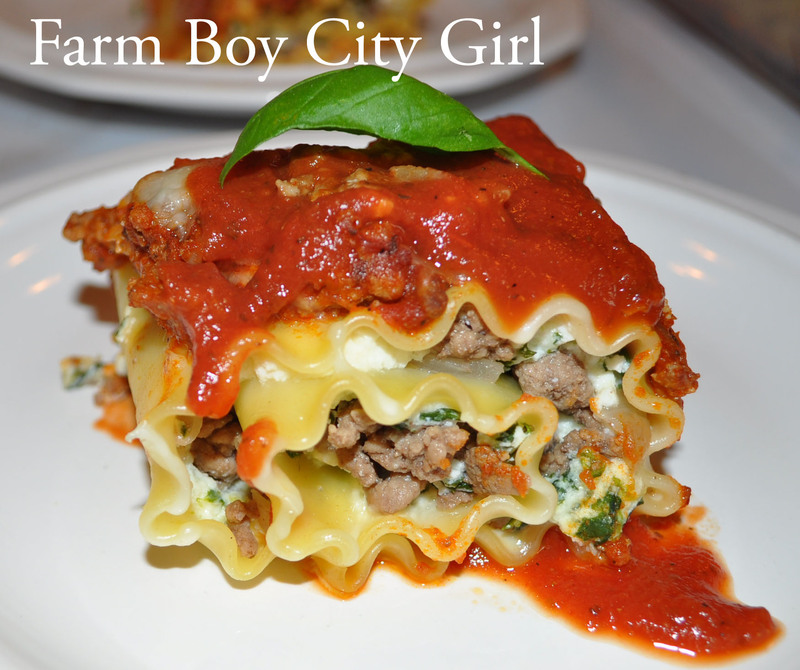 I usually use the jumbo shells but I wanted to try something a little different this time and use Lasagna noodles. I love this idea of individual pieces that could really be filled with many different ingredients, especially if your guests have individual requests. Sometimes, when I make Lasagna, I make half of the pan vegetarian so using the noodle rolled up would make that even easier. In a large saucepan brown the sausage and pour off fat. Add the onion and garlic; cook and stir until tender. Take about a cup of the meat mixture and put to the side. This is added to the inside cheese mixture. 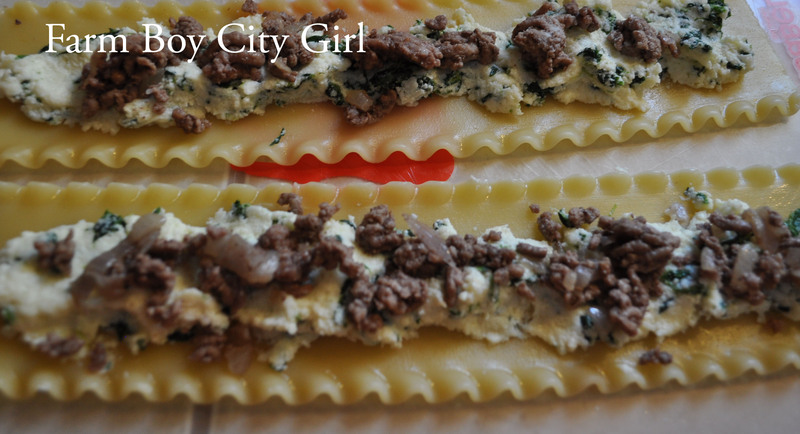 (This is not a typical Manicotti recipe). Add the pasta sauce to the meat left in the saucepan and simmer for 15 to 20 minutes. Add fresh basil and oregano. Prepare the lasagna noodles as the package directs. 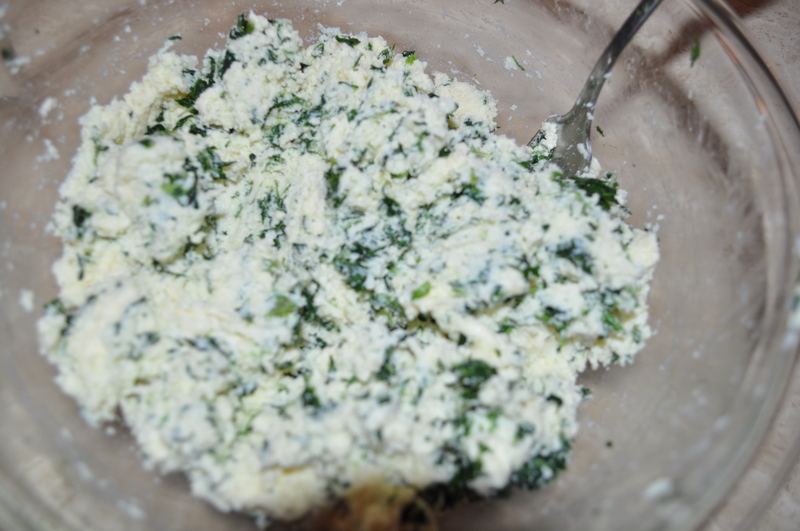 In a bowl, combine 2 cups mozzarella cheese, ricotta cheese, spinach, eggs and parmesan cheese. 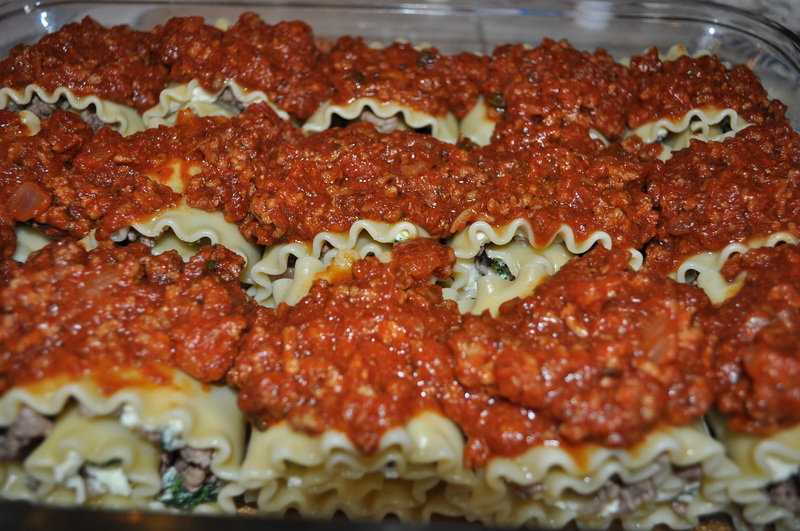 You can add the meat once cooled if using jumbo shells but since we are using lasagna noodles the meat will be layered. Either way is fine. Start with a noodle, spread the cheese mixture down and then add the meat. Roll the noodle up and place in a greased 13 x 9 baking dish. Aren’t they cute! Spoon the meat sauce over the noodles. Cover and bake at 350 degrees for 30 minutes. Top with the remaining 1 cup of mozzarella cheese. Bake 15 minutes longer. Let stand 15 minutes and serve it up. This make 12 rolls so serves 6-8. I love how easy they are to get out of the pan and serve. Buon Appetito! 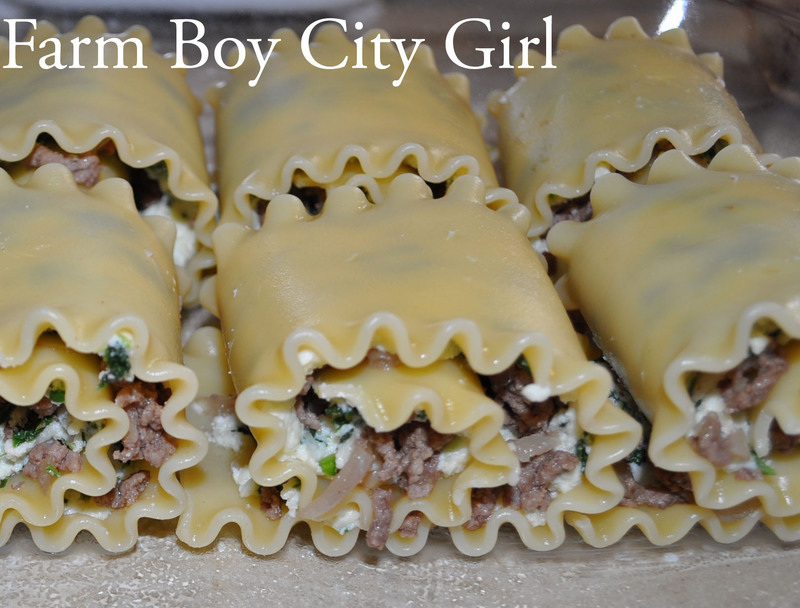 This entry was posted in Food and tagged Cannelloni, Cheese, How to make Manicotti, Italian sausage, Lasagna, Manicotti, Mozzarella, Noodle, Parmigiano-Reggiano, Pasta, Ricotta, Using Lasagna noodles. Bookmark the permalink. There are so many things you can do with pasta to keep meals interesting. Thanks for the link. Agreed! 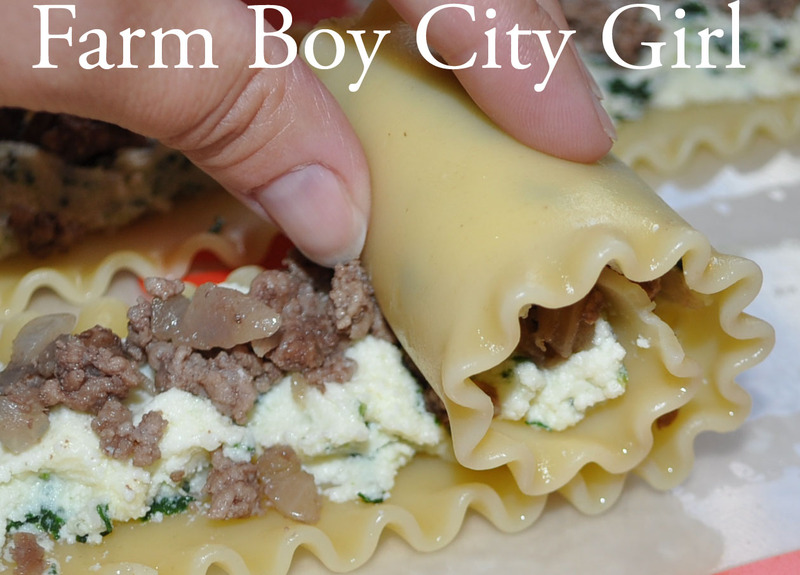 I need to try your homemade pasta!